Prince William and his wife Catherine have attended the start of "Ring O'Fire", a coastal marathon around Anglesey, in what may be their last public engagement before leaving their island home. With a persistent, cool sea mist in the background, the surprise appearance of the Duchess of Cambridge brightened up proceedings. Kate was making her first public appearance since the birth of her son, Prince George. Along with William she met with a number of local people, race volunteers and competitors at Holyhead Coastal Country Park. Both Will and Kate were there to officially start the gruelling 135-mile ultra marathon around the beautiful Anglesey Coastal Path. 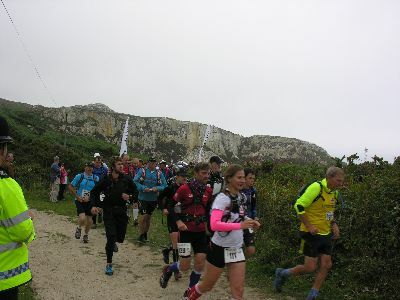 The Ring O'Fire passes through the island's designated Area of Outstanding Natural Beauty (AONB), made up of sand dunes, forests, estuaries, cliffs and sandy beaches. 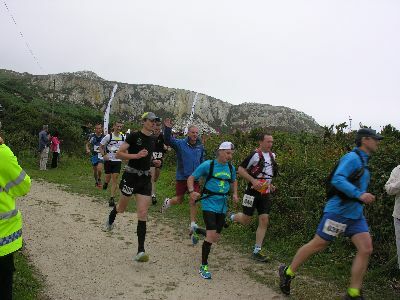 What makes this particular marathon probably the most gruelling in Britain is the almost 13,700 feet of vertical assent involved. 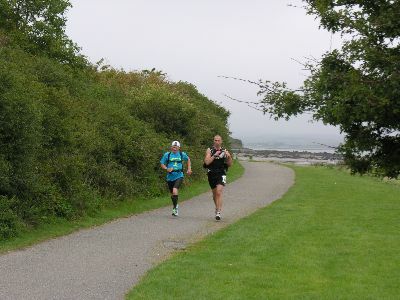 The marathon is set to last over a 3 day period, with overnight stops at strategic locations across the island, as they circumnavigate Anglesey in a clockwise direction. 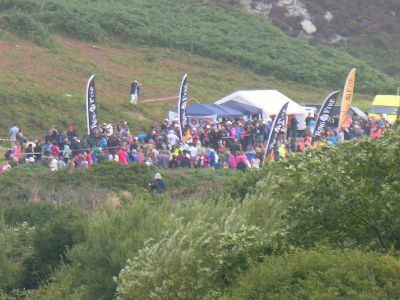 Setting off from Holyhead, the competitors first had to get through the built up area around the town and port of Holyhead, before heading out across Penrhos beach, then the Penrhos Country Park and on to the Stanley Embankment, which links Holy island to the rest of Anglesey. Updates will follow as the race progresses. For more local stories and articles, subscribe to our free Anglesey Newsletter here. It's as easy as 1-2-3. Is our very own Prince William (Stewart) running in the race? it was fantastic to see Kate today; me and my family are over the moon!! !